AAdvantage Aviator Business Card Increased Offer - All Time High! Barclays recently increased the bonus on their AAdvantage Aviator Business credit card and it is the all time high for the card. The really unique thing about the Barclays American Airlines credit cards is it only takes one purchase to get the bonus. Must also pay the $95 annual fee to earn the bonus. 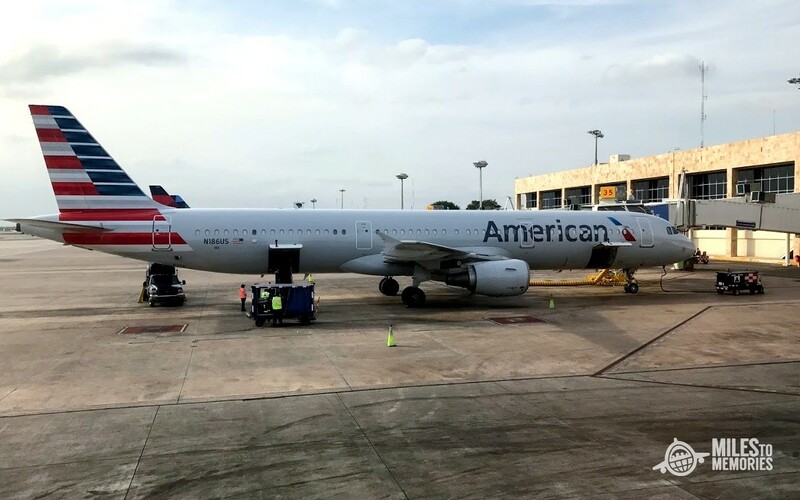 Access to American Airlines reduced mileage awards. You can also earn a $99 companion certificate if you spend $30,000 on the card but don’t do this, it is not worth it. This is a pretty amazing offer even though American Airlines miles are not as valuable as they used to be. The offer on the Citi American Airlines Business card is 70,000 miles but you need to spend $4,000 to earn the welcome bonus. This is the better offer of the two but Barclays can be a tricky approval. Let us know if you are considering the card in the comments section. Previous articleBest Rental Car Promo Returns: Rent 2 Get 1 Free, Earn Lots of Extra Points and Stack with Amex Offer! I had the Aviator Red Personal Card, but cancelled it a few months ago. After calling Barclays and being transferred 6(!) times and spending an hour on the phone, the last guy said i wasn’t eligible for the bonus on the Business Card, but even he seemed unsure. They should be considered different products. Applied and approved. Now just have to wait for it to arrive and buy a pack of chewing gum! Will Barkley report this business card so that it gets counted against you in Chase 5/24 count? In the past they have not reported it on people’s personal report. For those with a lose interpretation of a business, be aware Barclays is a little tougher on the application compared to Citi, Amex and even Chase. They asked me for tax documents, ect to verify that the business is real. There is also a story by TPOL on this on his Jetblue card. I have a Citi-issued AA card whose signup bonus was denied. Apparently I’d already gotten an AA bonus about 18 months earlier. Does anyone know what previous card conditions could lead to the Barclays-issued bonus being denied? I was declined for the Citi AA business card. I was approved for the Barclay AA business card last week. I only got a 50k point offer. We will see if the points post. I actually plan to use this card for a business that was started 1.5 years ago. May wanna try to send them a message and see if they will match the 60K offer…worth a try at least. Instantly approved! Will have P2 apply when she gets home from work. Easy 120k points! !